Daniel was born on July 24, 1929 and passed away on Wednesday, October 24, 2018. Daniel was a resident of Louisiana at the time of passing. July 24, 1929 - October 24, 2018 Maurice - A Mass of Christian Burial will be held at 10:00 AM on Friday, October 26, 2018 at St. Theresa of the Child Jesus Catholic Church honoring the life of Daniel John Broussard Sr., 89, died on Wednesday, October 24th, 2018 surrounded by his loving children. He was known as the person who was always ready to give a finger rosary to everyone he met. 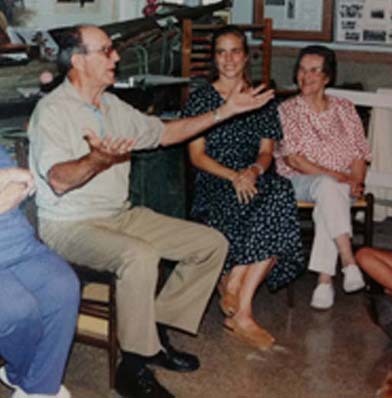 His love was leading the rosary in French at Eastridge Assisted Living. The family requests that visiting hours be observed at Vincent Funeral Home - Abbeville, 209 S. St. Charles St., on Thursday, October 25, 2018 from 10:00 AM until 9:00 PM with a rosary being prayed at 6:00 PM; Friday, October 26, 2018 from 8:00 AM until 9:45 AM when the procession will depart for the church.